Chang Pao: I grew up in Ban Mon Jong, Tak province but spent most of my years as a hydraulic engineer in Bangkok. Then I moved to Chiang Mai in 2016. One day I was driving back to Tak and I had a vision of H.M. King Bhumibol Adulyadej, he was pointing at an area of forest that I had never seen before. It was a reoccurring dream, I saw this forest over and over - it became my mission to find this particular forest. Eventually, I found this place in Le Tor Glo village and became a coffee farmer permanently. Chang Pao: It’s a place that I found, after years of dreaming and searching for it. 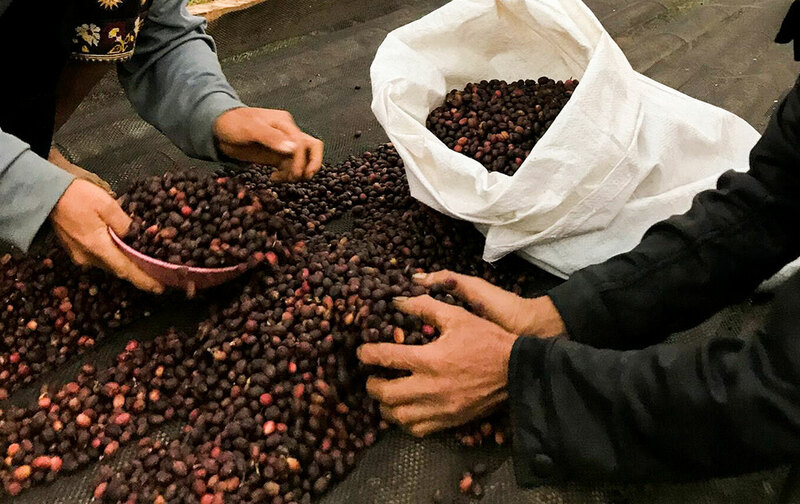 Chang Pao: In that dream I spoke about, I saw H.M King Bhumibol Adulyadej blessed the land with something, and that something grew into coffee trees. That’s why I decided to become a coffee farmer. The power of nature and all the beautiful things that the forest provides are the reasons why I can still continue doing what I do. In turn, it means I am able to provide for my family and I get to meet and work with a lot of new people, like Korn from Roots for example. He is such a lovely person, and we enjoy developing the quality of the coffee together. I never thought I’d meet a customer or a buyer who comes back to help at the farm after they had purchase my coffee. I didn’t even know what Roots was back then, but I knew who Korn was! Chang Pao: It means forest conservation. 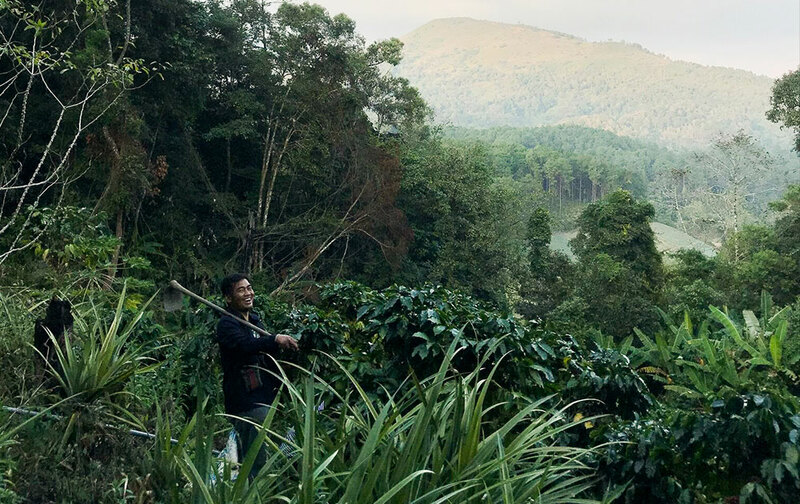 By farming coffee, I get to be closer to nature and look after the forest. But more than this, coffee is also a career that can give you a good foundation to support yourself and your family. If you make good coffee, you’ll get a good price. Chang Pao: I think I’ll still be a coffee farmer and a honey producer. Maybe I’ll expand a little bit into growing cocoa beans and other vegetables. Chang Pao: I used to like mild-roasted beans with flavors that aren’t too intense. But now I like the beans to be roasted lightly so that you can fully taste all the notes and aroma in the cup. Chang Pao: I’ll probably work as a fork lifter until I’m 50-52 years old then maybe head back home and see what other jobs I can find. 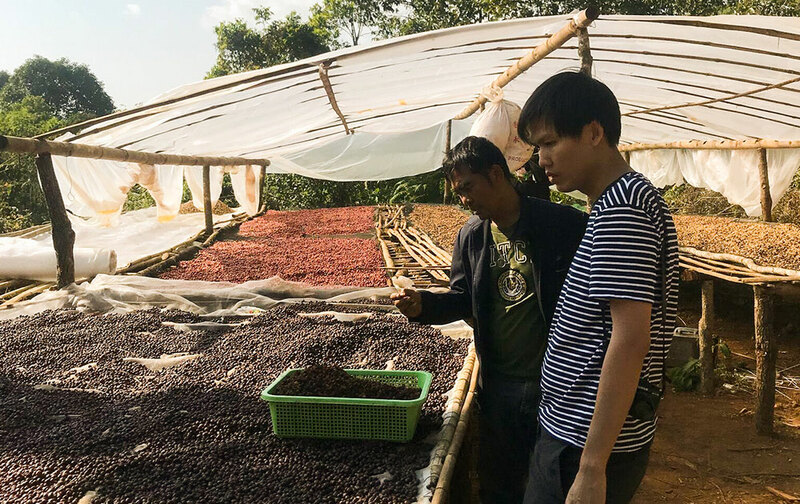 Chang Pao: Everyone who drinks the coffee from Le Ta Glo are helping to conserve the forest of that area and supporting the local villagers to have a better income. I hope the customers will enjoy my coffee for a long time to come! Feel like trying Chang Pao’s coffee? Click here.